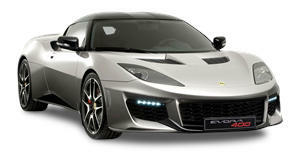 The Lotus Evora GTE production car has just made its debut at the Frankfurt Auto Show. Fresh off the awesome concept&apos;s debut at the 2011 Pebble Beach Concours d&apos;Elegance last month, Lotus has brought out its Evora GTE production version at the 64th edition of the Frankfurt International Auto Show. It&apos;s safe to say that the Lotus Evora GTE is the most powerful Lotus ever. The gorgeous Evora GTE has plenty of brawn to go with its stunning beauty-for-a-racecar. The British automaker has given the Evora GTE 438hp out of its racing-inspired 3.5-liter V6 motor matched to a bespoke automated manual transmission. This is the same V6 that is currently equipped on the Evora S. Lotus has given the Evora GTE an egregious amount of carbon fiber fitted in both the interior and exterior for weight saving measures. The carbon fiber rear wing, doors and both bumpers have in fact saved the street-legal racer over 165lbs. It sits on a set of forged lightweight alloy wheels. The new GTE has an interesting history. It was originally scheduled for 25 units only and strictly for the Asian market. Due to the high demand the Brits have received for the powerful Evora (and over 100 deposits already received) Lotus has decided to release it world-wide and build more than the initial quota.